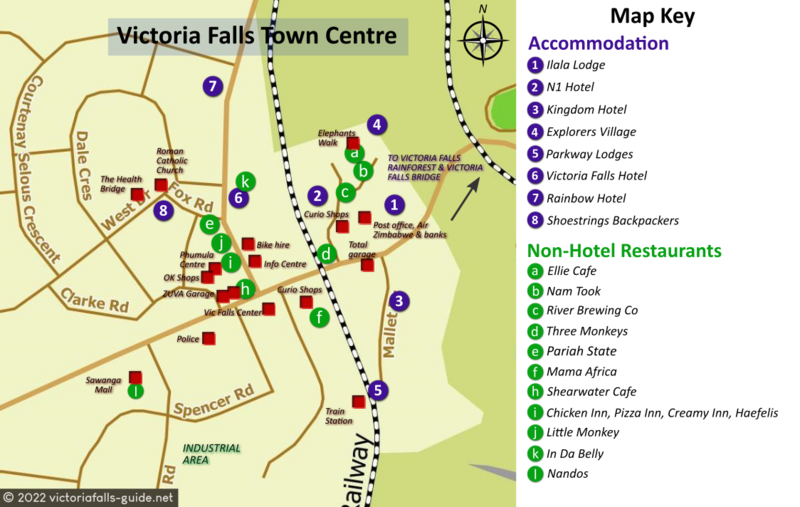 We have had these maps of Victoria Falls (Zimbabwe) especially designed for us. 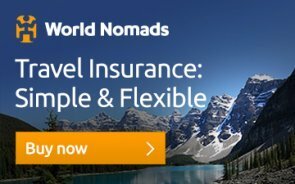 We're sure they will help you to get your bearings and make decisions on where to stay and what to do. 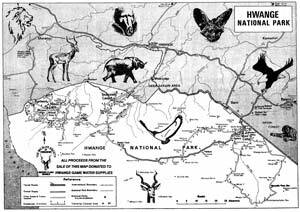 Major confusion seems to arise among tourists regarding the names and locations of the towns in Zimbabwe and Zambia. The town on the Zimbabwe side is called Victoria Falls, the town on the Zambian side is called Livingstone and the actual Falls themselves are obviously called Victoria Falls. A foreign agent who does not know the area might well book you a holiday to Victoria Falls, but you will actually be staying in Livingstone - Zambia. See the Google map below. • To see the map's index, select the rectangular icon in the top left corner of the frame below. • To expand or view the full map in a new window/tab, click on the square-shaped icon in the top right corner of the frame below. ***NB *** - If you toggle the map view to "Satellite" view, you can use our "Google Maps Errors" layer to see where other Google Map users have incorrectly placed markers. Otherwise, please use our default map with our brightly coloured markers which are accurate. Victoria Falls Hotel, Kingdom Hotel and Ilala Lodge are the three closest hotels to the entrance gate of the Falls being less that a kilometre away. Cresta Sprayview Hotel and the Rainbow Hotel are a little further out being about 2 kilometres from the Entrance to the Falls. The other major hotels like Elephant hills, Victoria Falls Safari Lodge and A Zambezi Hotel are not within normal walking distance but regular bus shuttles to town and the Falls are available from the hotels. 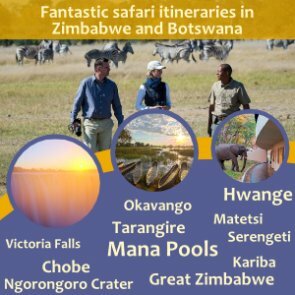 Imbabala, Victoria Falls River Lodge, Elephant Camp, Gorges Lodge and the Stanley and Livingstone Hotel are out of town and are more of a Safari experience being situated within game parks (except Gorges Lodge), again a bus service from the hotel will bring you into town. Then within the residential suburbs of Victoria Falls there is a multitude of B and B's and guest house these are no more than about 3 kilometres from the Falls. 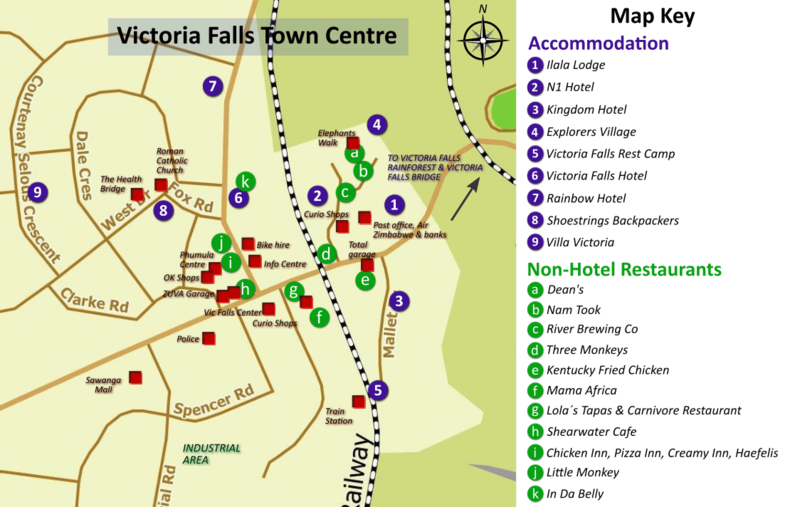 Victoria Falls Rest Camp is right in the town centre and has very easy access to everything. 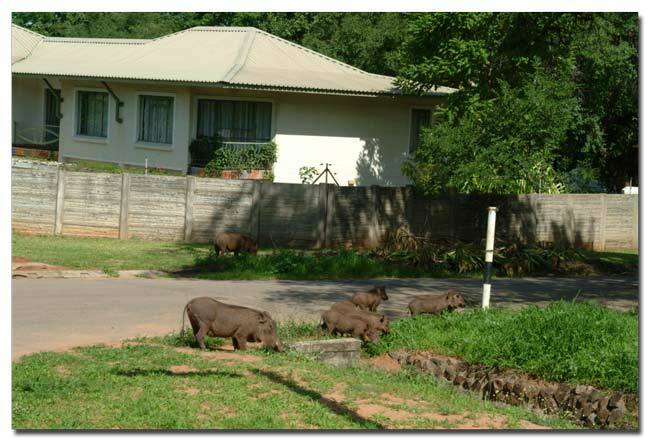 Warthogs are often seen strolling along the streets... locals pay them little attention but I guess this must be quite an unusual site for a foreigner coming in. 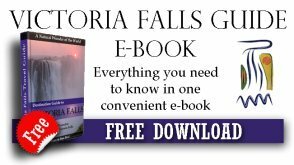 Please read these reviews from other travellers who have just been to Victoria Falls.